3 Bedroom End of Terrace For Sale in Lincoln for Offers Over £250,000. CHARACTER COTTAGE WITH VERY LARGE GARDEN. 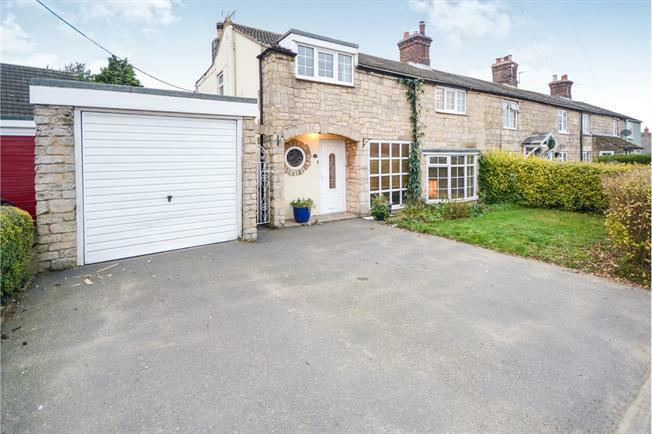 An extended stone cottage with lots of character situated in the popular village of Branston which has ample amenities for a growing family. Features include sizable living room with multi fuel burner, separate dining room, utility, and spacious open plan kitchen/dining room. Upstairs there are 3 good sized bedrooms, family bathroom and en-suite to the main bedroom. Driveway and garage.